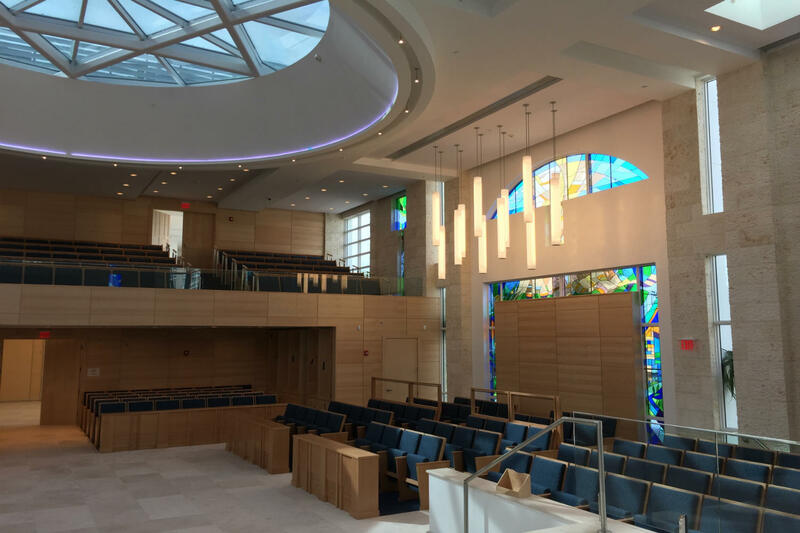 Orthodox Jewish congregations are not permitted to employ electronic sound reinforcement or amplification technology in their temples. 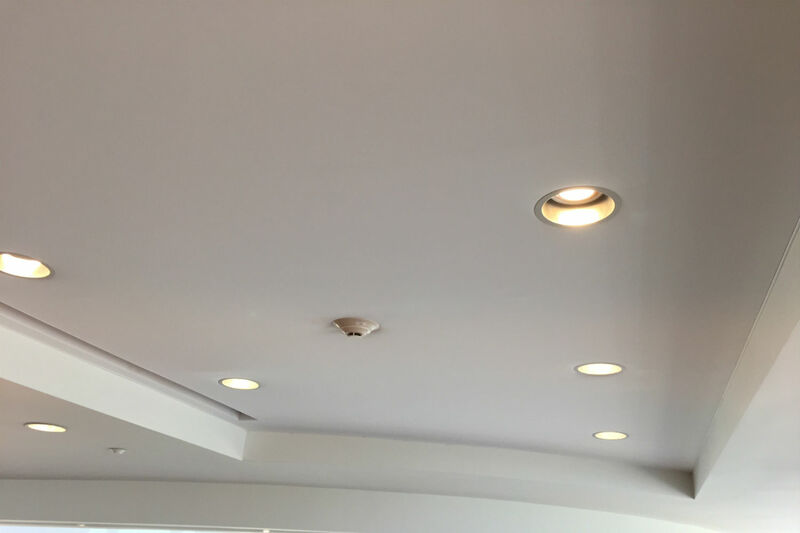 Acoustic design therefore, plays a critical role in assuring acceptable levels of speech intelligibility for their services. 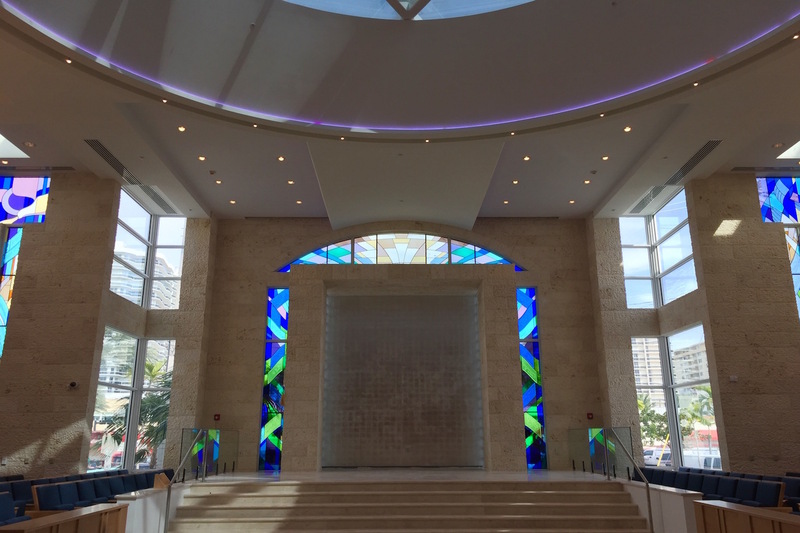 This issue was a paramount concern when Miami’s Young Israel Temple began planning their new Shul. 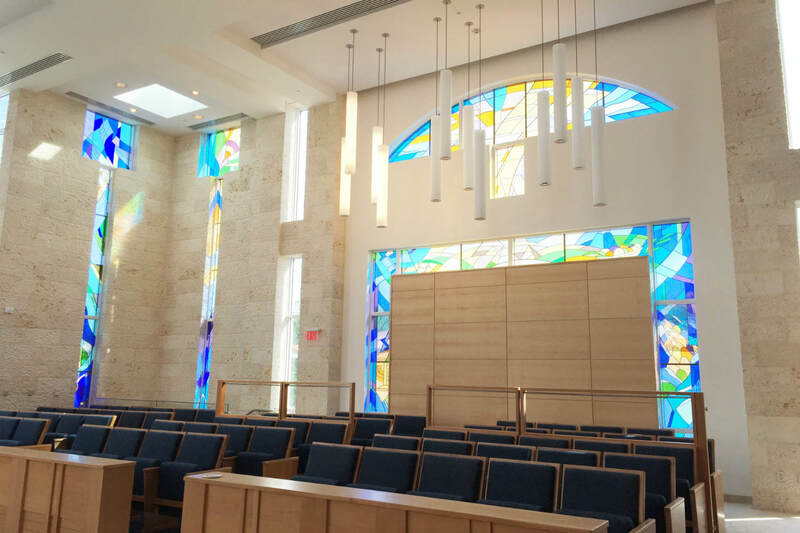 To compensate for the lack of amplifiers, microphones, speakers, and other electro-acoustical support, Miami-based architect Shapiro Associates retained WSDG to develop a ‘traditional’ program based on physical design and site-appropriate acoustic treatments to establish an environment that would clearly project prayers, song and announcements from the bema. The issue of overall quietness was equally important to that of achieving the highest quality speech intelligibility. 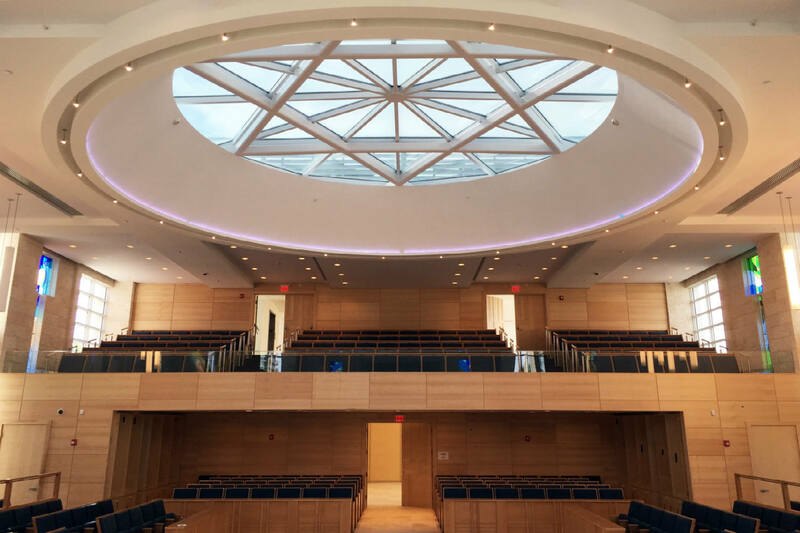 With the congregation separated into two sections, men on the ground floor, women in the balcony, and potential traffic noise intrusion from the busy street, effective sound isolation was a primary concern. And as is befitting any house of worship, the interior design needed to reflect a warm and pious ambiance. 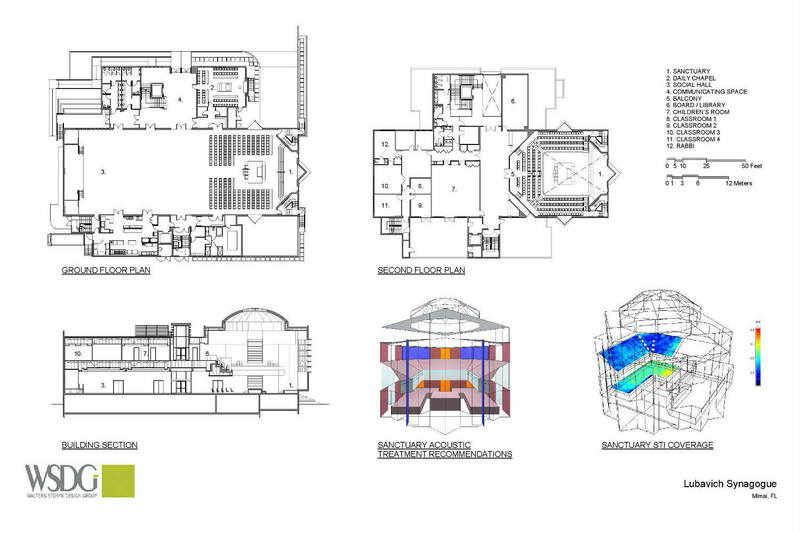 Engaged at the project’s pre-construction stage, WSDG addressed the acoustic challenges at the design stage with proprietary 3D modeling programs. These sophisticated tools produced a series of precisely detailed interior space simulations. 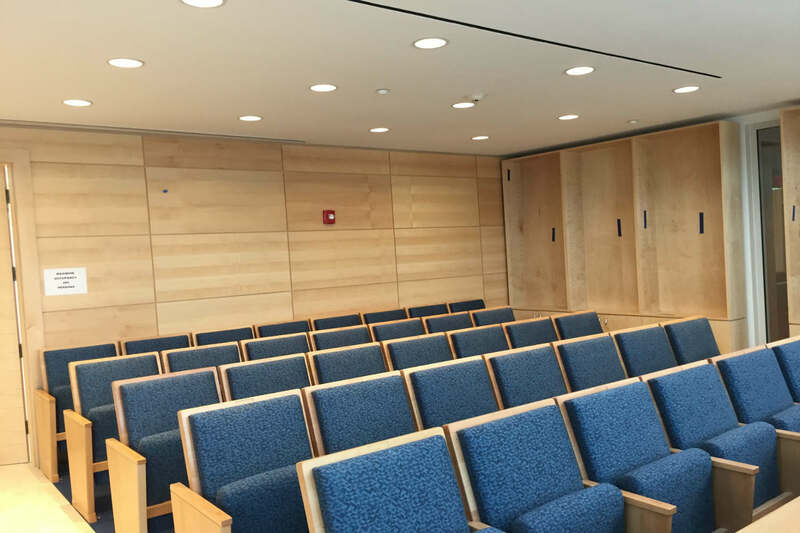 Guided by these ‘auditory maps,’ WSDG acousticians developed a comprehensive construction plan to eliminate potential sound reflection issues and enhance speech intelligibility by implementing effective interior design elements. Precise the geometrical calculations determined the optimal configuration of walls, ceiling height and related ‘fixed’ construction elements. 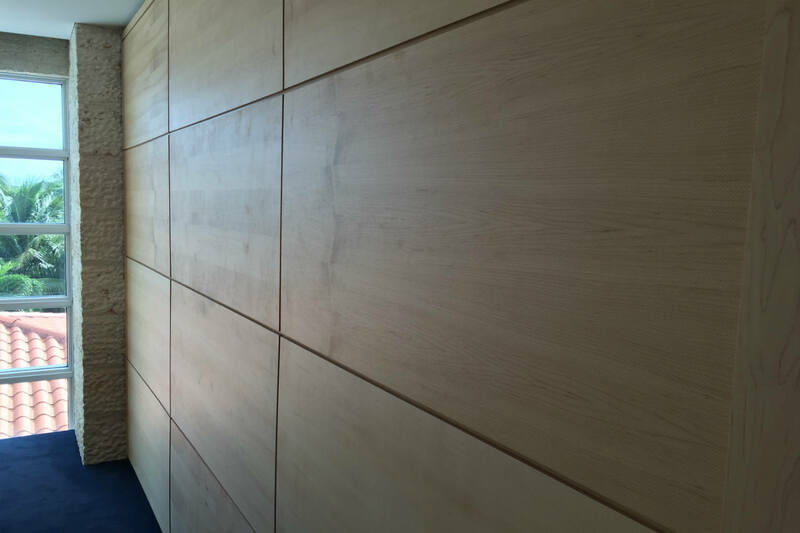 Potential reflective sound issues were resolved with the aid of recently developed “invisible” construction elements such as striking, micro-perforated wooden diffusers, and highly effective absorptive plaster. But, traditional treatments were engaged as well. Used in temple construction for centuries, porous Jerusalem Stone continues to serve as a beautiful and effective acoustically sound resource.